Investing in shares or stock market is inarguably the best route to long-term wealth accumulation. However, it can also be a very risky proposition due to high risk-return trade-off prevalent in the stock market. Hence, it is more appropriate to take help of an experienced and trustworthy expert who will guide you as to when, where and how to invest. Our sole purpose is to assist you, the investor, to make deliberate and calculated decisions that will match your personal needs with suitable investment alternatives. CD helps you identify the opportunities in market and make money out of them. Commodities are more than what you think they are. Almost everything you see around is made of what market considers commodity. It could be any kind of movable property, except actionable claims, money and securities. Commodity trade forms the backbone of world economy. CD provides you with the perfect platform to trade in these highly valuable commodities so that you can benefit and make the most of the thriving markets. With a perfect blend of philosophy, knowledge and highly skilled and dedicated professionals CD strives to offer its client the best investment solutions across the country. It is our belief and tryst that each client is unique and therefore we provide customized solutions to suit their every unique need. CD is member of Multi- Commodity Exchange of India Ltd. (MCX). 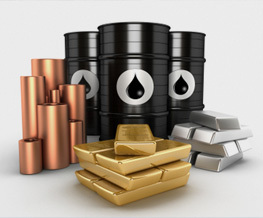 It provides a platform for trading in commodities both agro-based and precious metals. 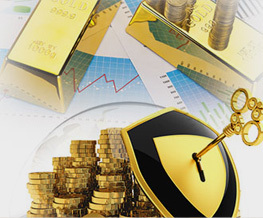 MCX is major commodity exchange in India and have shown a significant growth in trading volumes. It allows valuable trading opportunities for learned players in the Commodity Futures market. Our efforts are directed towards making our clients enjoy superlative trading experience through reliable research, personalized services and robust technology. Currency Derivatives have evolved into a reliable asset class due to its deep liquidity, relatively low volatility and low-cost per trade. 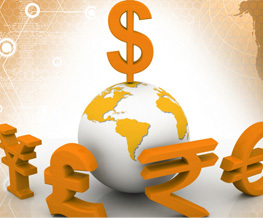 Volatility in the value of national currencies powers the currency derivatives market. Currency options would provide an opportunity to take a view on exchange rate and fulfill both investment and hedging objectives. We offer advisory and brokerage services for the Indian currency derivative markets as a member of NSE – CD segment. We provide online trading platform to our clients that enable them to trade whenever they choose while receiving instant professional advice on where to invest. With our powerful expertise in financial services, along with an enviable technological edge, we are all set to bring to you the opportunity of investing in the rapidly growing currency market. The currency derivatives market will be an added advantage to your portfolio as it will help to manage your price risks and add to your investment avenues. CD is a registered member / Depository Participant of CDSL (Central Depository Services Ltd.), thus giving you the platform to maintain all your investment holdings in paperless and secured manner. It is our commitment to design the best investment alternatives and products for you. We offer you the most secure, convenient and hassle-free DEMAT Accounts at the most economical rates. Investing in a Mutual Funds is the most sensible route to utilize the best fund- management talents available in the country. 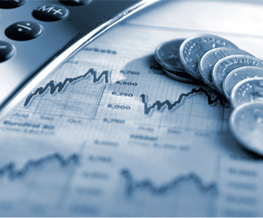 CD presents its Mutual fund services that strive to meet all your mutual fund investment needs. 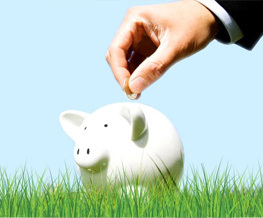 We have a wide spectrum of investment schemes from all top mutual fund houses. CD offers guidance to pick and deliver the best in this class. The income earned through these investments and the capital appreciation realized is shared by its unit holders in proportion to the number of units owned by them. Thus a Mutual Fund is the most appropriate investment option for the common man as it offers an opportunity to invest in a diversified and professionally managed basket of securities at a relatively low cost. 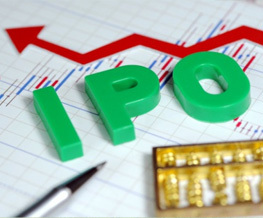 An Initial Public offer (IPO) is the selling of securities to the public in the primary market. It is when an unlisted company makes either a fresh issue of securities or an offer for sale from its existing securities or both for the first time to the public. This paves the way for listing and trading of the issuer’s securities. The sale of securities can be either through book building or through normal public issue. Why do companies go for an IPO or become public? )An IPO raises capital for the company. )It dilutes equity holdings of founders and investors and brings public investors. )It gives capital to companies for expansion. )It is a moment of pride for the company as it boosts corporate image. How does an IPO take place? )When a company wants to go public, the first thing it does is hire a financial advisor or an investment bank to manage the public issue. )The underwriter puts together what is known as the RED HERRING prospectus. )This is an initial prospectus containing all the information about the company except for the offer price and the effective date not known at that time. )With the red herring in hand, the underwriter and company attempt to find the appetite for shares. They go on a road show to tap institutional investors. Our Wealth Management solutions focus on understanding your needs and providing you the best in class services through research based investment advisory. Catering to individuals and corporates with investible corpus of Rs. 5 crores+. )Morgan Stanley Investment Management PVT. LTD.
Our philosophy is to provide first hand, superior and unbiased guidance to our clients which is backed by in-depth research. Our team of dedicated Relationship Managers and Dealers will assist you at each stage to provide you the best in class dealing and trading experience.